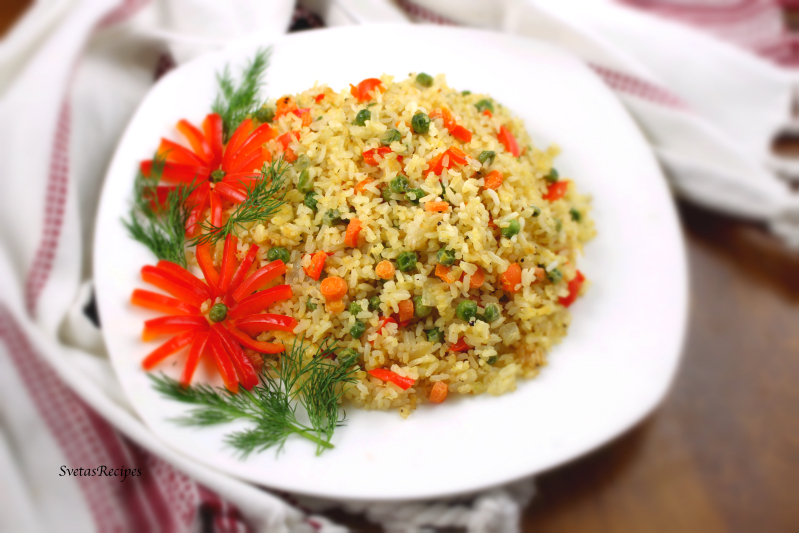 Fried rice with eggs has a delicate flavor and is very original. It Combines sweat pepper, onions, garlic, fresh eggs, baby carrots and soy sauce. Its very dazzling and delicious. 1.) Wash and dry your rice 4 times under cold water. 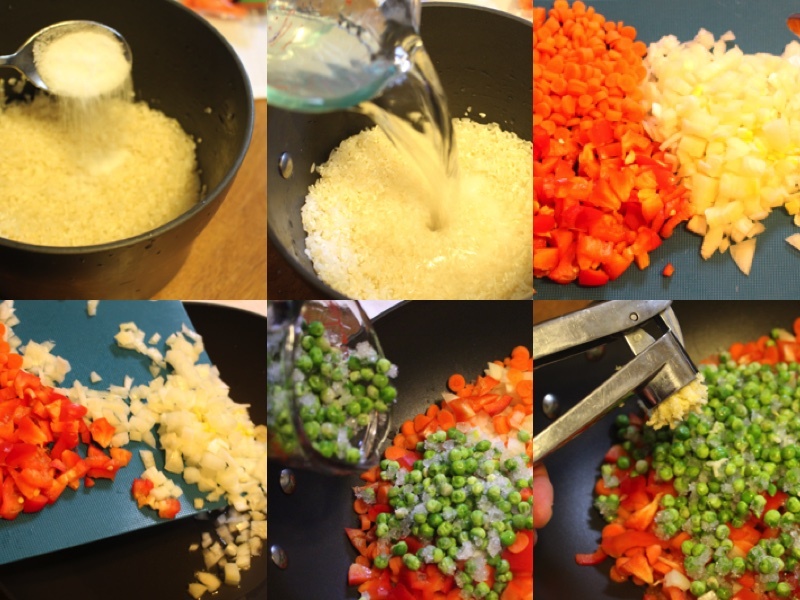 In a large sauce pan add rice, salt and water. Turn on the heat until it boils, lower heat and let it boil for 7min, Drain. 2.) Wash and dry all vegetables, chop your peppers and onions into small cubes. Add your peppers, onions, pees, and crushed garlic into a hot oiled skillet, fry for 2 min on a high heat. 3.) Add rice and soy sauce to the skillet Mix well. Fry for 5 more min. 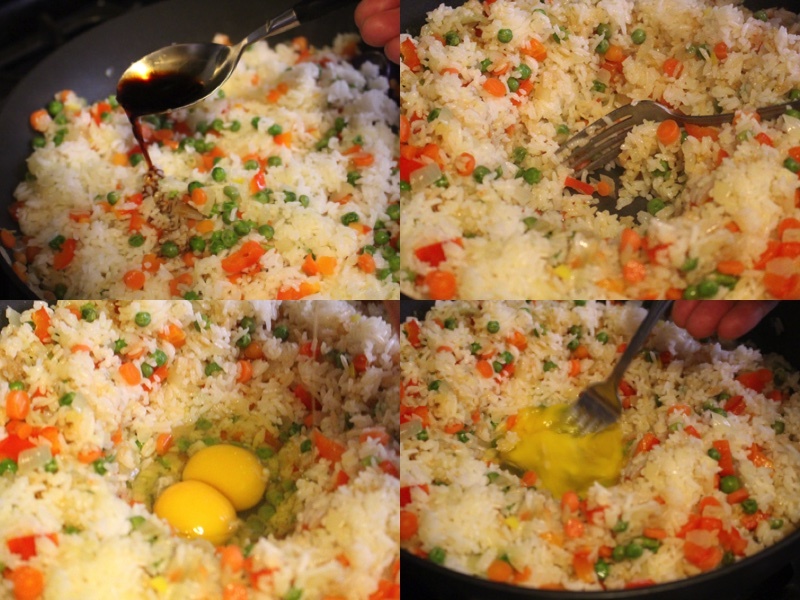 With a fork make a small hole in the middle of the rice mixture. Add 2 fresh eggs into your hole and mix well. 4.) Fry again for 5 min. Place on a serving dish and enjoy. Wash and dry your rice 4 times under cold water. 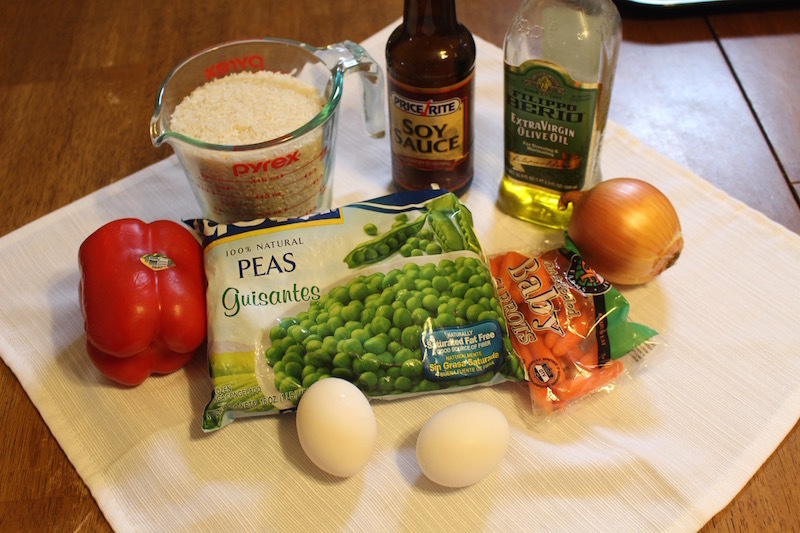 In a large sauce pan add rice, salt and water. Turn on the heat until it boils, lower heat and let it boil for 7min, Drain. Wash and dry all vegetables, chop your peppers and onions into small cubes. Add your peppers, onions, pees, and crushed garlic into a hot oiled skillet, fry for 2 min on a high heat. Add rice and soy sauce to the skillet Mix well. Fry for 5 more min. With a fork make a small hole in the middle of the rice mixture. Add 2 fresh eggs into your hole and mix well. Fry again for 5 min. Place on a serving dish and enjoy.